In this letter The Berry Schools tell Mrs. Whitney that they have received her check from Miss Berry and thank her for her donation. 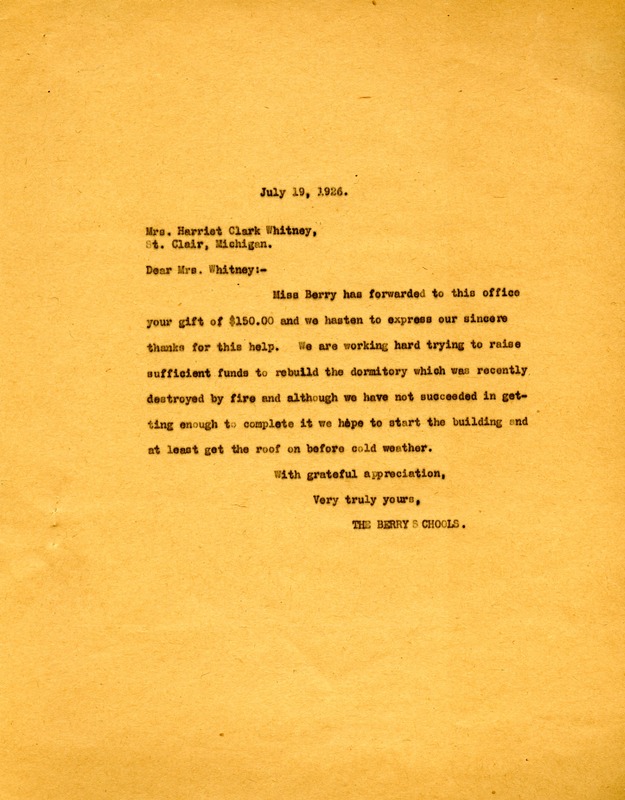 The Berry Schools, “Letter to Mrs. Whitney from The Berry Schools.” Martha Berry Digital Archive. Eds. Schlitz, Stephanie A., Jordan Brannen, et al. Mount Berry: Berry College, 2012. accessed April 22, 2019, https://mbda.berry.edu/items/show/3741.